Nebraska football fans have now had a couple of weeks to digest the 2015 recruiting class, and see how it fits in to the overall roster makeup (with great thanks to the Omaha World-Herald). We’ve already looked at who are the Super Six of this class, but now is a time to take a step back and see how the class as a whole, looks, position by position. The overall class grade for each position will consider two factors. First, it will look at how much raw talent at each position was brought in. Second, it will look at the needs at each position and how the incoming class fills those needs. All measurables and rankings from 247 Sports. The signing of Barnett by new head coach Mike Riley might have been one of the biggest coups of this year’s recruiting class. Barnett, the best of the 2015 class according to one smart and particularly handsome analyst, was not a Bo Pelini recruit that Riley held on to. Rather, he was new to the class, and a big addition. A refreshing of the position is always important, particularly as Nebraska has six seniors set to graduate in 2015. But with a strong class of redshirt freshmen this year, the offensive line might not have been a position of need like some of the others. Still, the landing of Barnett gives rise to a high mark for this position group. Ozigbo was another Riley-only signing, decommitting from Iowa State after Nebraska lost Kendall Bussey. The I-back position might be Nebraska’s strongest position, and the addition of (with all due respect) an Iowa State-level talent to the mix likely won’t be a game-changer for NU. Failing to sign a quarterback in the 2015 class might be understandable given the depth of the position and the likelihood that Nebraska’s new staff will be wanting a different type of signal-caller than the previous regime. But it’s always a little concerning to see a recruiting class without a quarterback. Nebraska also did not sign a scholarship fullback, and after the graduation of senior Andy Janovich will not (absent giving a scholarship to a walk-on) have a scholarship fullback on the roster next season. While Nebraska did add a walk-on fullback in Austin Hemphill, and there is still uncertainty in Riley’s offensive structure of a fullback’s importance, the lack of depth at the position has to at least raise an eyebrow. Getting Jamal Turner back from injury should boost Nebraska’s wide receiver corps in 2015, and NU’s depth at the position means quality over quantity could be the rule of the day. Both Morgan and Alston look to add some speed to the position. But the start of this group might well be Snyder, a receiving-threat tight end that could come in right away and add to the threat Cethan Carter currently poses. If Riley’s offensive scheme is more willing to utilize the tight end in the offense than the previous regime—which, in fairness, means the scheme would use the tight end more than once in a blue moon, not exactly a high bar—then Snyder could end up to be the steal of the class. Three of the four defensive line recruits, Neal and the Davis twins (Khalil and Carlos) were bigger stories about their retention than their impact on the roster. The Davis twins were thought to perhaps waiver on their commitment to Nebraska after Pelini was fired, and Neal was the target of a late recruiting push by new Michigan head coach Jim Harbaugh. But the recruiting “victories” aside, the additions to the defensive line were sorely needed. The three that Riley had to sweat about keeping are easily in the top half of the class in terms of overall talent. And at both defensive end and defensive tackle, Nebraska was sorely needing both talent and depth. The absence of a four-star talent is the only thing that puts a damper on this grade. If wide receiver was about quality over quantity, then linebacker was the opposite. 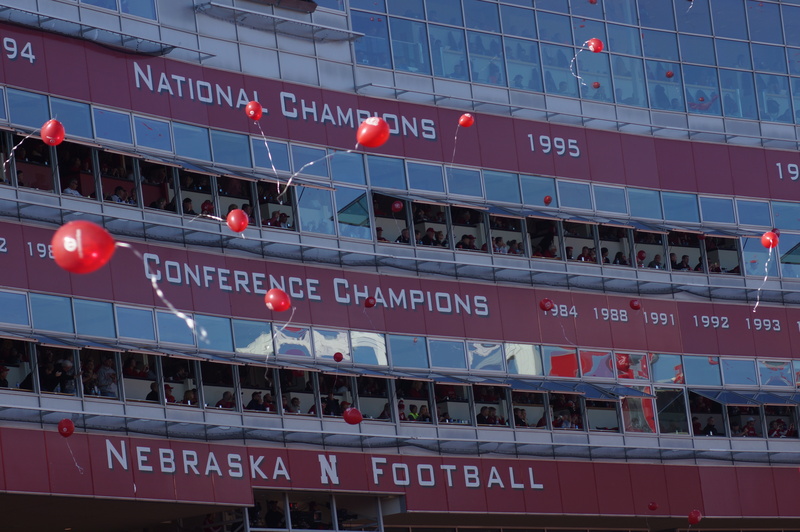 Coming into 2015, Nebraska only had five (!) scholarship linebackers on the roster, so getting bodies to play the position was critical. It’s one reason why hybrid players like Antonio Reed, Dedrick Young and Adrienne Talan are listed at linebacker, simply because the position is so thin that it is likely they will be put there first. There is no stand-out talent in the group, although Young has the best chance to out-perform his star ranking once he gets on campus. But Nebraska was able to fill up the numbers with players that have enough talent to be considered at least lottery tickets, in the hopes that some will come good. Still, look for linebacker to be a position of focus for the 2016 class. Lee and Anderson have been committed to Nebraska for so long that it’s almost strange to think of them as part of the 2015 class. But for Riley to hold on to their commits (particularly Lee, who could arguably be the best player of the class) and have them available for spring practice as early enrollees might be one of the most important feats of Riley’s young career in Lincoln. Defensive back is an area where Nebraska is very—almost ridiculously—deep in 2015. But don’t be surprised if at least one of these guys pushes for playing time next season. Don’t laugh. Long snappers are amazingly important. Not being competent at long snapping can be akin to a turnover on punts, and a surrender of points on field goals. While the position is about as specialized as a left-handed knuckleball middle reliever in baseball, it’s vital to have for a program that wants to compete for championships. With the injury to Gabe Miller, Nebraska was without a scholarship long snapper. With Ober’s addition, Nebraska now has that hole filled. Mission accomplished.